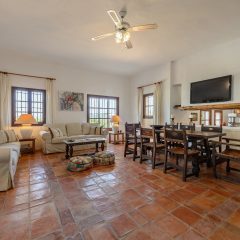 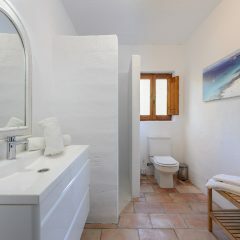 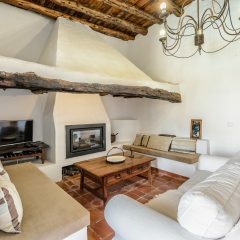 A touch of history, but with the comfort of today: The finca near the golf course makes it possible! 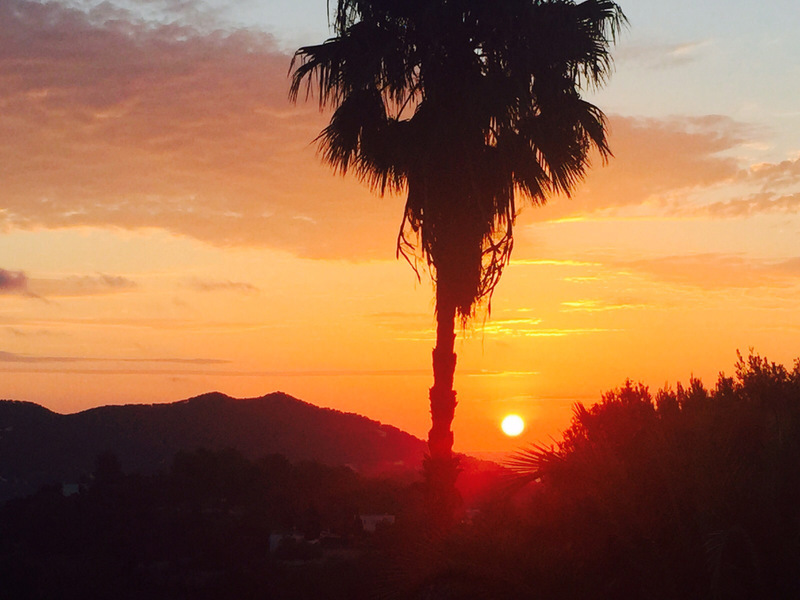 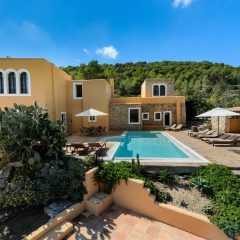 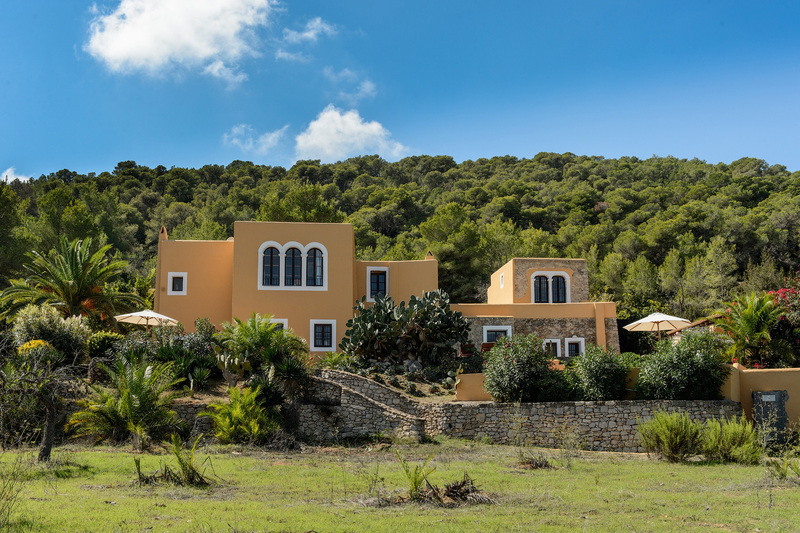 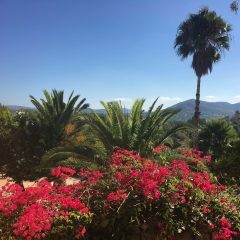 An Ibizan dream of living in the midst of the most beautiful island landscape. 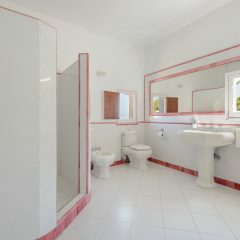 A property to live and feel good. 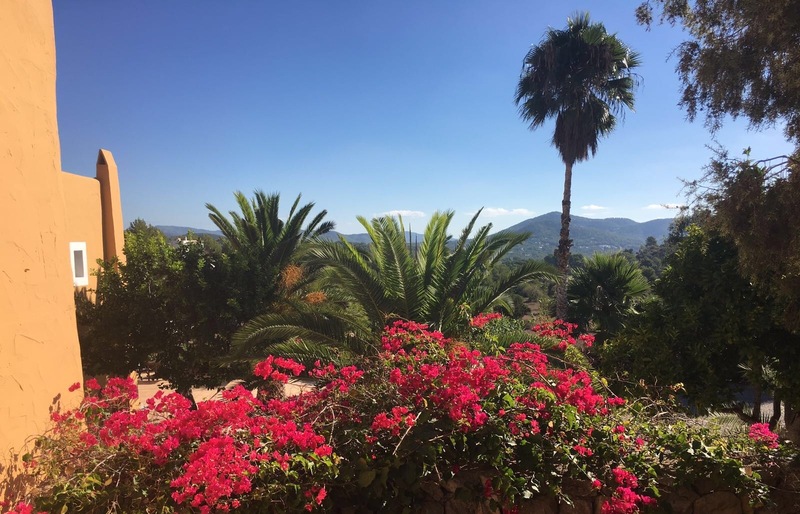 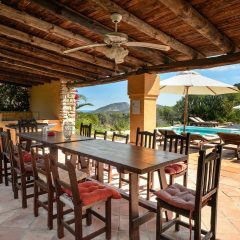 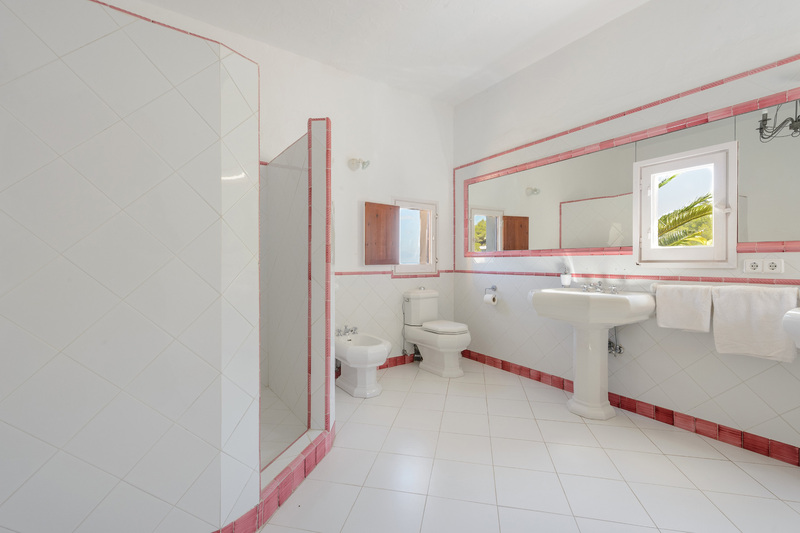 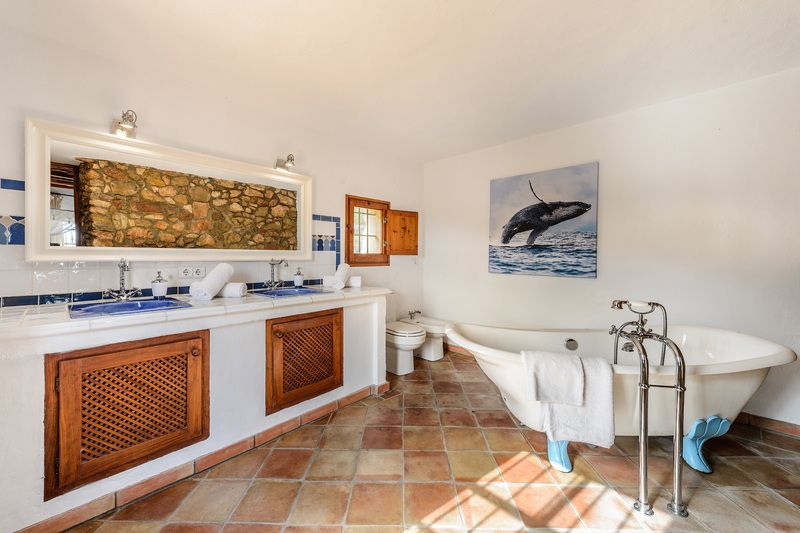 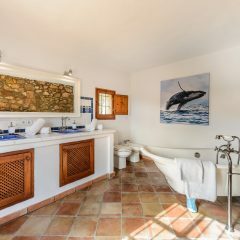 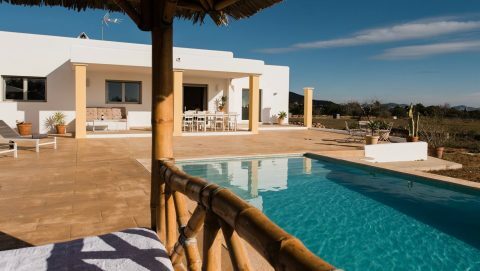 The property covers almost 40,000 square meters, the finca itself offers 500 square meters of living space – plenty of space for living, well-being and celebrations. 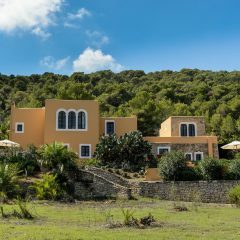 The finca is one of the objects you hardly find on the island. 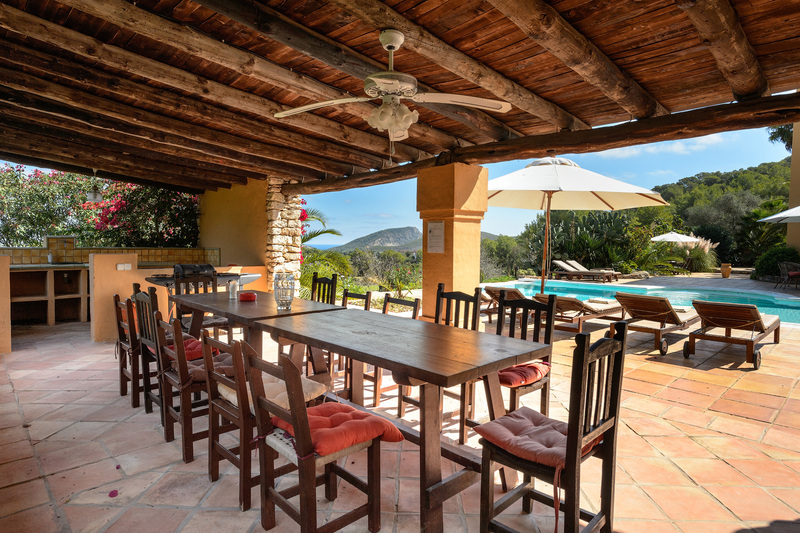 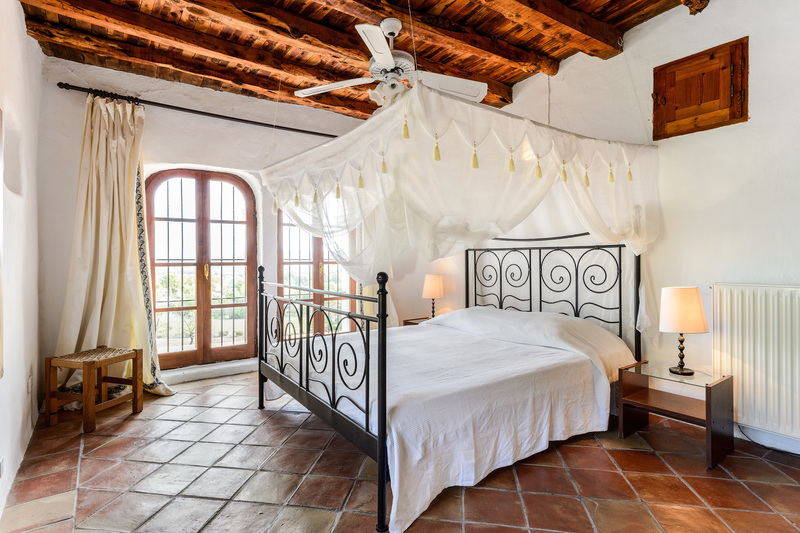 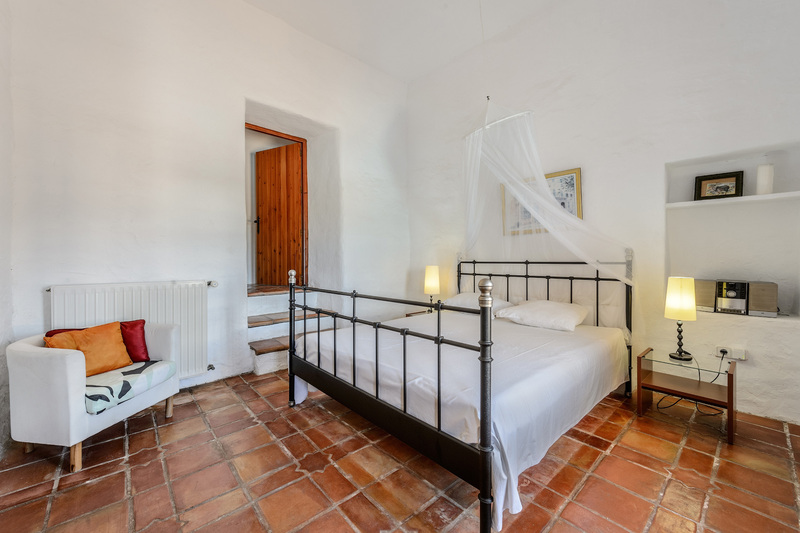 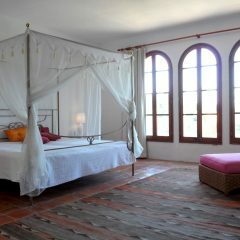 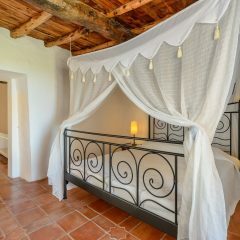 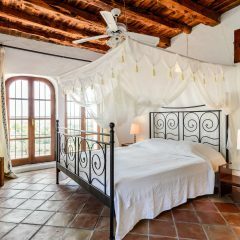 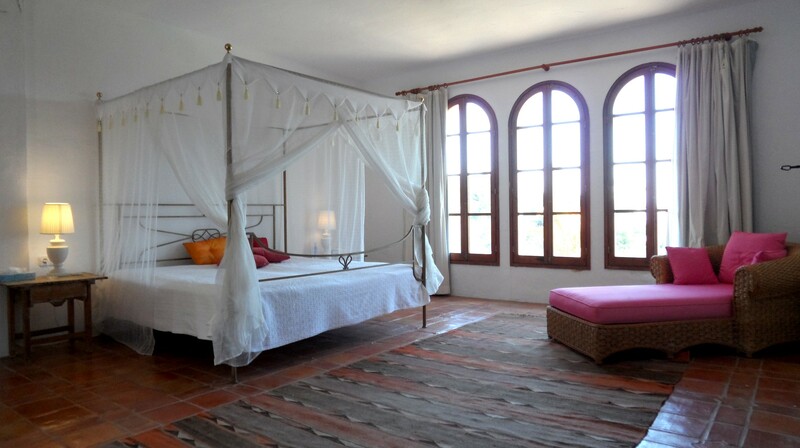 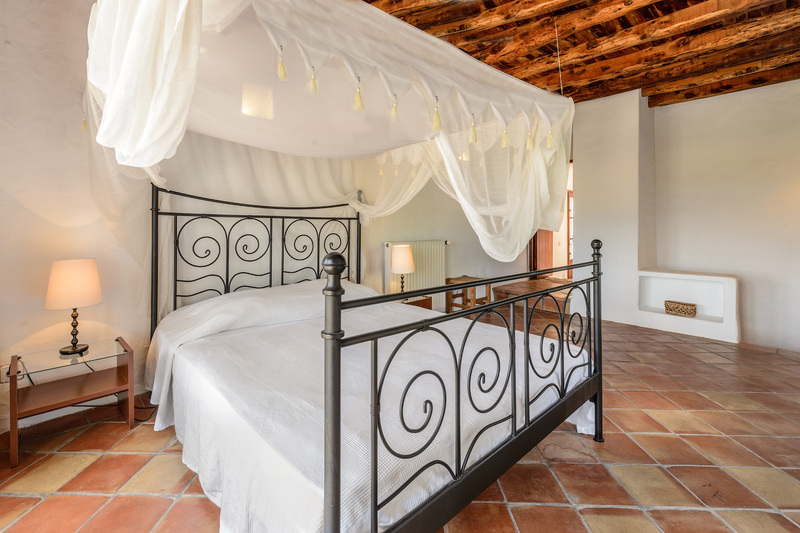 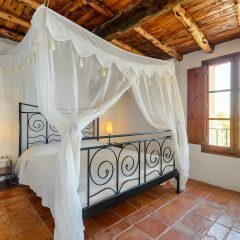 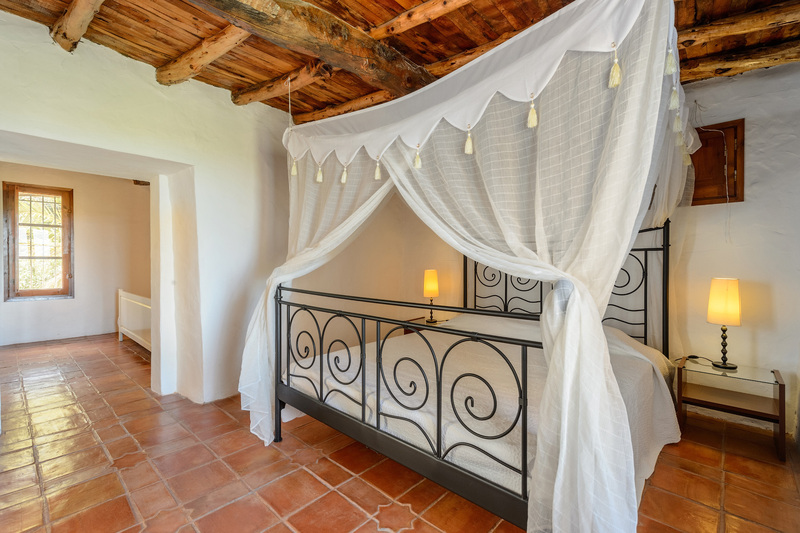 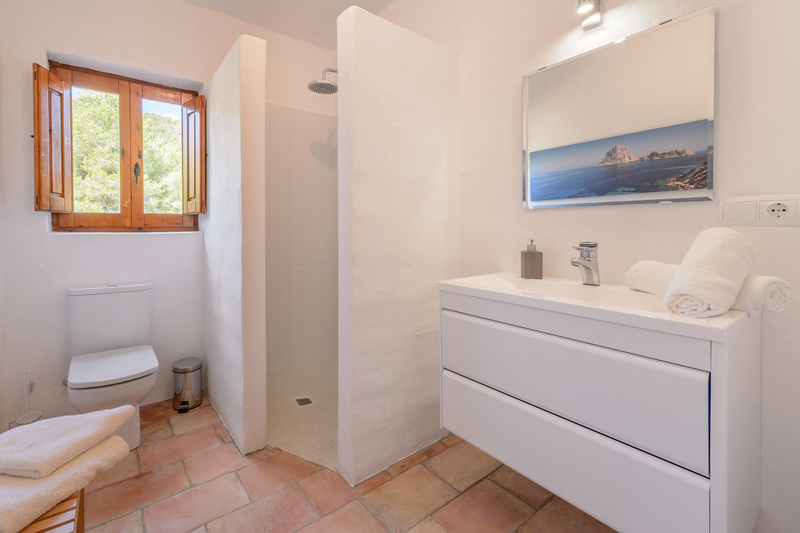 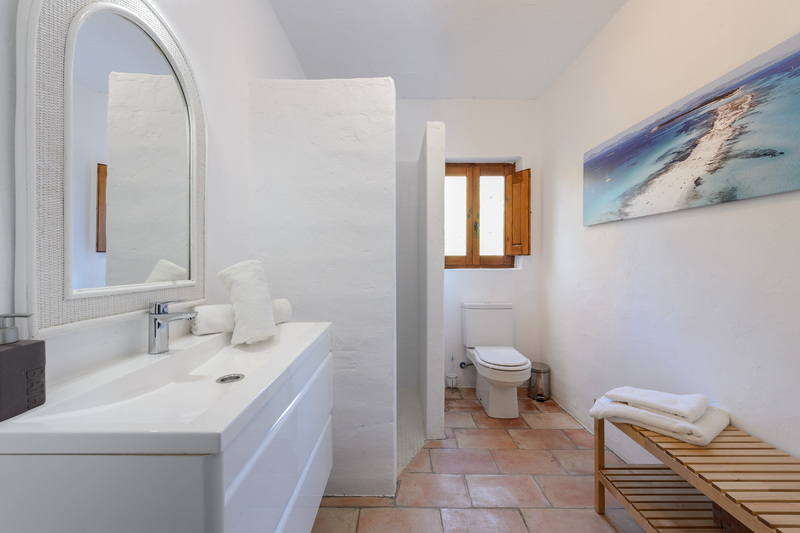 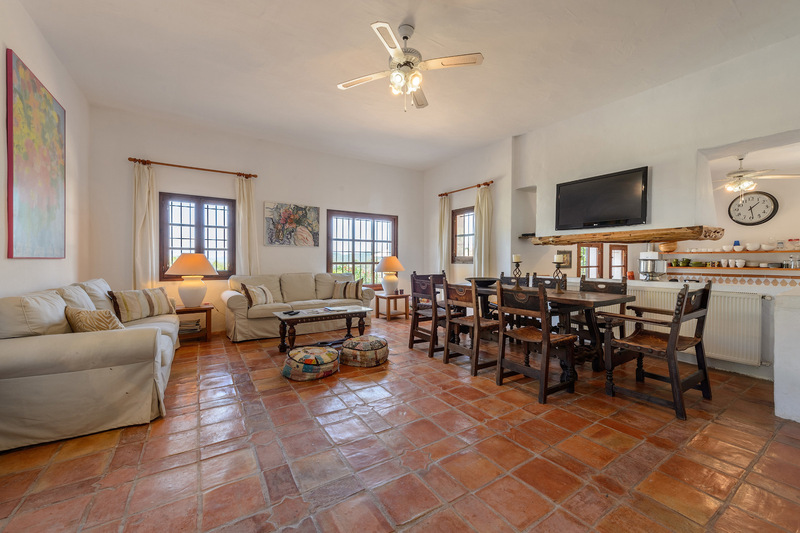 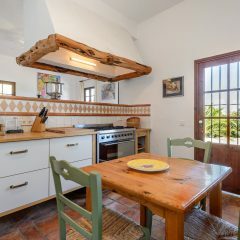 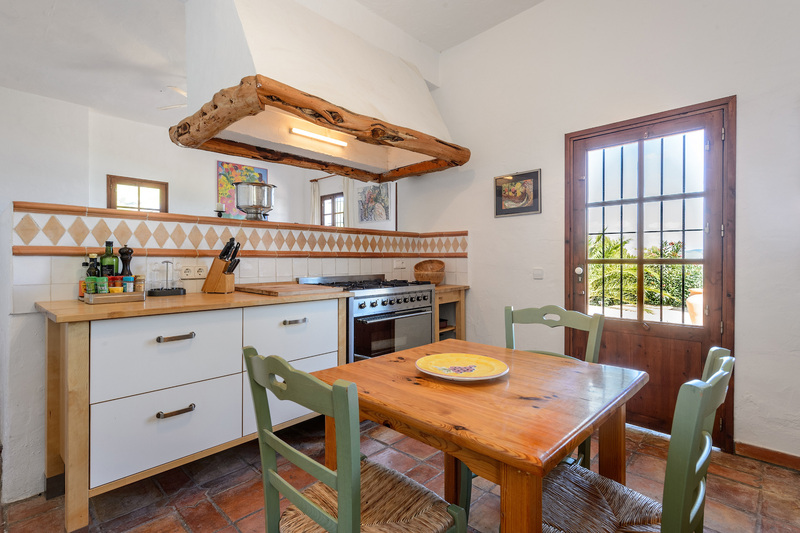 Handmade terracotta tiles and beautiful Sabina wood ceilings create a lot of Ibiza flair. 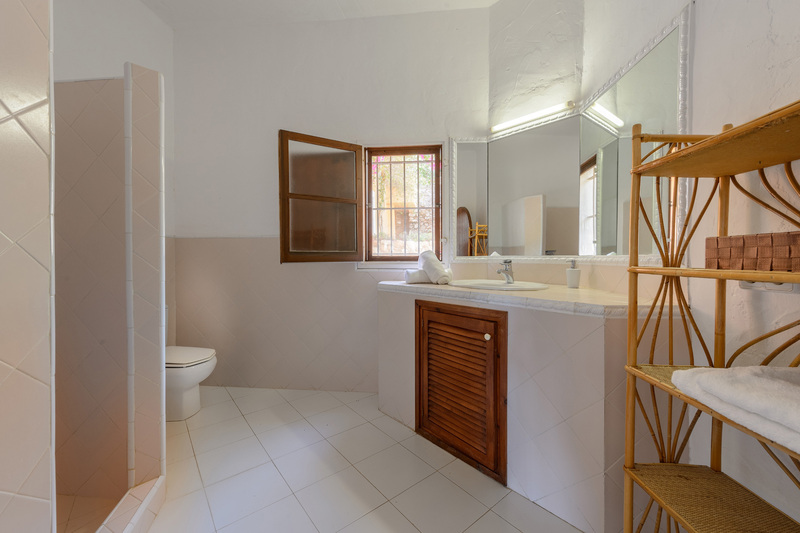 The comfort of the 21st century can be found in central heating, air conditioning, stylish bathrooms, satellite system, free internet access, outdoor lighting, fireplace room, pool house with outdoor kitchen and barbecue and, and, … Plus: There are no neighbors! 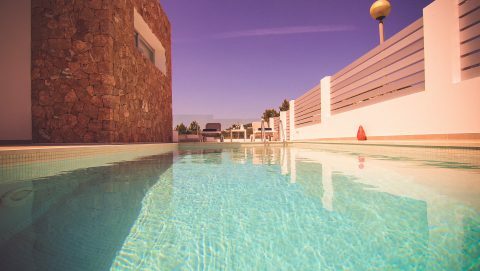 Turn up the music and enjoy the Ibiza flair whenever you want without restrictions. 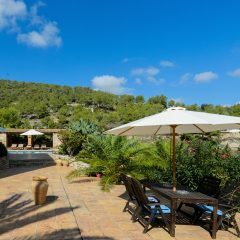 From the property to the golf course it is only a stone’s throw away and the nearest beach can be reached by car in 5 minutes. 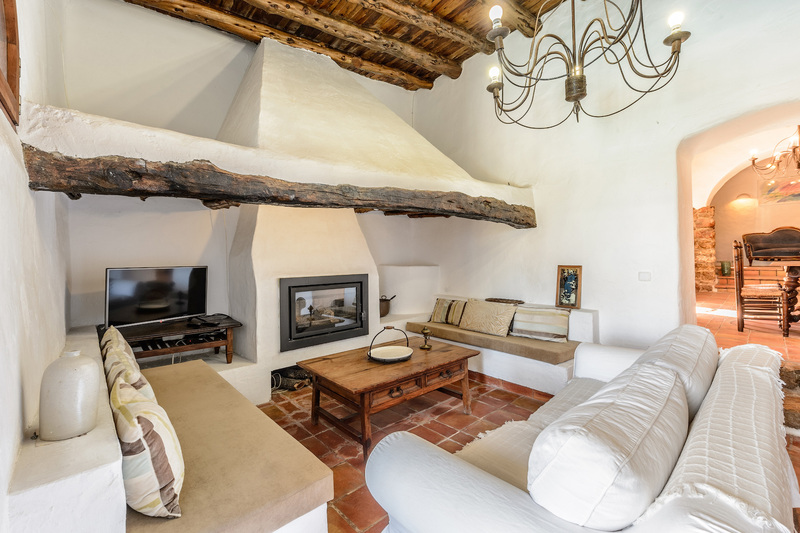 Ibiza old town and the marinas are just under 10 minutes (5km) away. 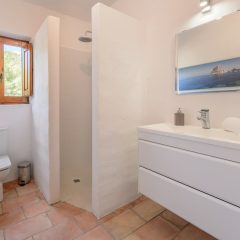 The airport is 20 minutes away. 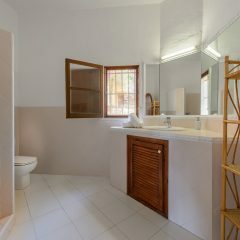 Of course, my team and I will be happy to assist you during your stay. 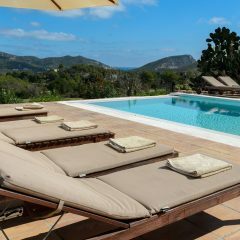 We also arrange car rentals, travel insurance, VIP tables, yachts, boat trips or other activities for you. 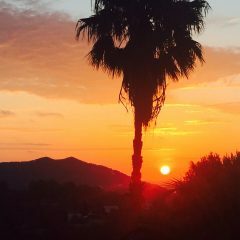 Grocery shopping, shuttles or other concierge services are available on request.